Well-grounded in the history and theory of Anglo-American urbanism, this illustrated textbook sets out objectives, policies and design principles for planning new communities and redeveloping existing urban neighborhoods. Drawing from their extensive experience, the authors explain how better plans (and consequently better places) can be created by applying the three-dimensional principles of urban design and physical place-making to planning problems. 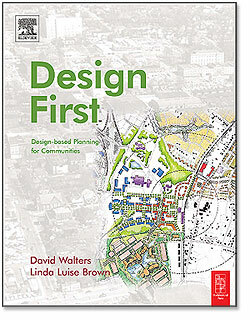 Design First uses case studies from the authors own professional projects to demonstrate how theory can be turned into effective practice, using concepts of traditional urban form to resolve contemporary planning and design issues in American communities. The book is aimed at architects, planners, developers, planning commissioners, elected officials and citizens -- and, importantly, students of architecture and planning -- with the objective of reintegrating three-dimensional design firmly back into planning practice. "The book is compelling, insightful and rigorous in its coverage of the issues that face the urban designer in his or her attempt to build the Good City. The section on the consequences of planning policy on cities, and the relationship of these policies to design should be required reading in every planning school." "The book is a lucid and welcome addition to the literature for many reasons, but especially for focusing on practical work and action without disdaining thought and history." Greenfield sites around towns and cities, and redevelopment infill sites in existing urban areas often become battlegrounds between the conflicting interests of developers and communities. In America, design charrettes (intensive design and planning workshops) have become widely used as a means of bringing together these divergent groups, using detailed design exercises to establish agreement around a development masterplan. Despite the increasing frequency of their use, charrettes are widely misunderstood and can be misapplied. This book provides a detailed guidance on the proper and most effective ways to use this helpful tool. 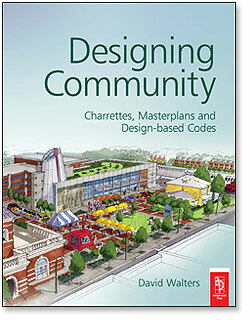 The book combines charrette masterplanning with the creation of "design-based" codes (also known as "form-based" codes) to control the development's implementation in line with the design and planning principles established during the charrette process. Provides detailed and specific guidance on the management and best use of the increasingly popular, yet complex, public design event. Blends history, theory and practice to paint the full picture of the past, present and possible future of community planning. Shows how to manage the conflict between development, design and planning professionals and community interests inherent in current design and planning practice. Developments in IT and the resulting knowledge-based economy have challenged traditional concepts of office design, as well as many of the larger architectural and urban design models. 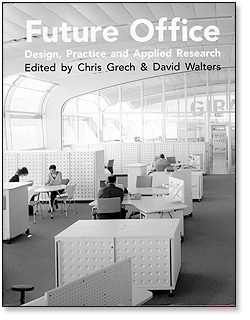 This book examines the implications of this revolution on current urban design and identifies potential new trends in office design from an international perspective. These forward-thinking essays have been contributed by practitioners and academics from a wide spectrum of interests to deliver an illuminating look into the unfolding possibilities and challenges ahead.
. This exhaustive 226-page handbook, written and produced by myself and colleagues at The Lawrence Group, provides detailed analytical tools, policy advice and illustrative designs for environmentally, economically and socially sustainable development in the mountain landscapes of western NC. 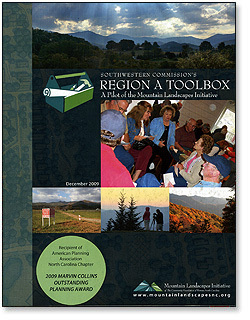 Chapters in the Toolbox cover everything from the coordination of economic development with long-range planning to best practices for clearing home sites, tree and view preservation and for grading roads on a slope. It addresses farmland preservation, affordable housing, sustainable urban development and green building techniques. And it provides state-of-the-art planning and urban design resources for elected officials, local government staffers, and citizen boards. Copyright ©2007 David Walters. All Rights Reserved.